The Computer Based Examination in respect of the Multi-Tasking Staff (Non-Technical) was held from 16-9-2017 to 31-10-2017 at different centres all over the country. 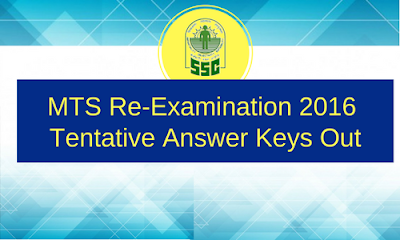 The candidates’ response sheet along with the tentative answer keys are now available on the link given below. The candidates may log-in using the same ‘ID’ and ‘Password’, which were used by them during the Examination, to download the same.